The Catholic Bishops' Conference of Nigeria is the organ of unity, communion and solidarity for the over thirty million Catholics, spread across the thirty six states of Nigeria and the Federal Capital Territory. It is the forum wherein the collegiality of Nigerian Bishops as successors of the Apostles in union with the Pope is expressed, and where the idea of Church as family is witnessed to. Through the Catholic Bishops' Conference, the Bishops and Archbishops of the 54 ecclesiastical jurisdictions as shepherds of souls in their Dioceses and Archdioceses are able to pray together, to study together and work together, and with the bond of unity created by the Conference, they are able to speak together, with one voice as they spearhead the teaching, prophetic and pastoral ministry of the Catholic Church in Nigeria. The Bishops' Conference is headed by an executive body, made up of the President, the Vice President, the Secretary and the Assistant Secretary. The plenary session of the conference holds twice a year, for prayer, study and deliberations on important issues regarding the evangelizing mission of the Church in Nigeria, the pastoral care of the faithful, and the promotion of human dignity, human rights, truth, justice, reconciliation, peace and wholesome development in the wider society. The Catholic Secretariat of Nigeria is the administrative headquarters of the Catholic Bishops' Conference. It is the most visible symbol of the unity of the Catholic Church in Nigeria. Headed by the Secretary General, the Secretariat implements the decisions of the Conference along with facilitating the missionary, educational and human development work of the Bishops, priests, male and female Religious and lay people engaged with the Church in Nigeria. The Secretary General and his staff of nearly 60 persons distributed among four Departments and the Social Communications Directorate as well as a National Catholic Service Centre are engaged each day in the promotion of the good image of the Church, governmental and non-governmental agencies within and outside Nigeria. They facilitate the participation of the Nigerian Clergy, Religious and the Lay Faithful, at the numerous meetings, workshops, congresses, retreats and seminars that are held at international, regional, sub regional and local levels. 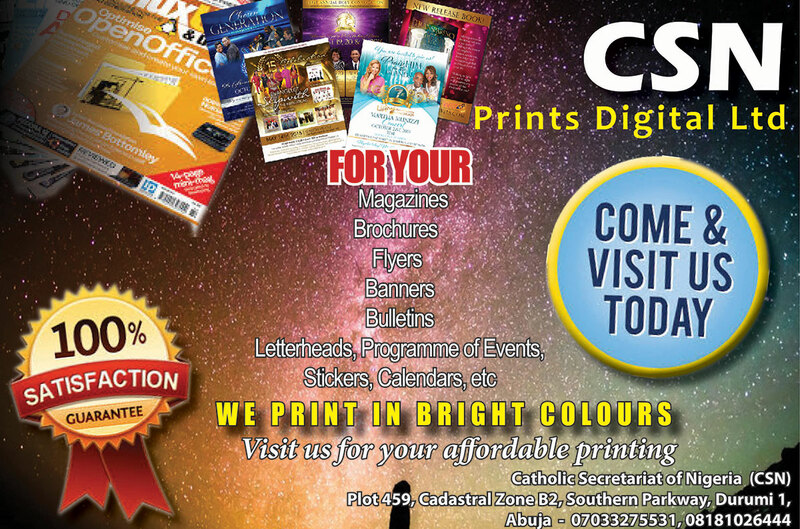 This Department of CBCN has Six units. A Secretary heads each unit which may comprise of one of a combination of committees. 1. The Director of the Department is also the Secretary of the Pastoral and Liturgical Committee. i Production and printing of annual liturgical Calendar and other important liturgical materials. (a) Sacred Congregation for Divine Worship. (b) Pontifical Commission for Pastoral Tourism. (c) The International Commission on English in Liturgy. iii Co-ordinating the work of diocesan spiritual directors. iv Making Mass wine available for the Nigerian Catholic Church. v Organizing International and National Eucharistic congresses and other Pastoral Congresses. vi Organizing National Pilgrimages and co-operating with organizers of Provincial Pilgrimages. The Pastoral Affairs Department of the CBCN is the office charged with issues relating to Theological Reflection, Canon Law, Religious Education, Biblical Apostolate, Catechetic, Inculturation and Translation, and Organization of Pilgrimages, Congresses, Synods and Jubilees. The Pastoral Agents Department is set up by the Catholic Bishops' Conference of Nigeria (CBCN) to co-ordinate the life and activities of the Clergy, Seminaries, Religious and Laity, all of which are administered through appropriate committees. The director, through the committees ensures that CBCN as a body is intensely involved in the life and growth of the groups this administered and that they in turn get a good opportunity to relate with the conference. The Committees see to it that the various segments of the Church attached to them interact effectively with their peers on national and international levels. Under the supervision of the Director and in collaboration with the Committee Chairmen, the Secretary of the Committees for Clergy and Seminaries works hand in hand with various clergy groups within dioceses , and on the national level with the National Association of the Catholic Diocesan Priests (NACDP). Also, he is in touch with the heads of all major seminaries and formation houses and has knowledge of their staff and curriculum. He is in touch with the Spiritual Year houses and the minor seminaries. In co-ordinating the activities of the entire department the Director keeps contact with the universal Church through the Pontifical Commissions for the Clergy, the Seminaries, the Laity and the Religious. The Church and Society Department is the arm of the Catholic Bishops' Conference of Nigeria (CBCN) which co-ordinates the work of the Catholic Church in Nigeria as it relates to human society in general. Specifically, it promotes social development, human dignity, democracy, justice, equity, reconciliation and peace. The JDP/Caritas Nigeria co-ordinates and facilitates on the National level. Through all its structures, it ensures the involvement of the Nigerian Church in the promotion of a peaceful, democratic and integrally developed society where human rights and dignity are upheld and respected. The unit carries out its activities based on the social teachings of the Church, which are deeply rooted in the Gospel (Lk 6:18-19). It is the largest humanitarian outfit that is established at the grass root level in all the Catholic parishes in Nigeria and the Local Government Areas of the country. It also coordinates the Church's efforts in agricultural and rural development. The unit organizes seminars and training workshops with a view to building the capacity of all church functionaries at various levels in Socio-Economic analysis, Environmental Issues, Good Governance, Political Awareness, Civic Education, Preparedness, Emergency and Response techniques, Peace Building and Penal Reforms with the aim of building a strong and virile civil society. JDP/Caritas Nigeria pilots the Church's efforts in relief services especially in emergency situations. It sources for funds and organizes the distribution of relief materials as the need may arise. In recent times JDP/Caritas Nigeria has substantially assisted in providing support to both Church and humanitarian workers at both local and international levels. The unit networks and partners with other related agencies of like minds as well as with funders. The Health unit co-ordinates and facilitates the activities of the various parishes, dioceses and religious Congregations in hospitals, mobile clinics, AIDS prevention and Care, etc. The unit also has the task of drawing up the Health Policy for the Catholic Church in the country and the National Health Insurance Scheme for Catholics in Nigeria. The Family and Human Life unit co-ordinates and facilitates the work of all the individuals and groups within the Catholic Church in the protection, defense and promotion of human life from conception to natural death and in the promotion of family values. In this task, the unit is in regular touch with local and international agencies equally committed to the values of life. 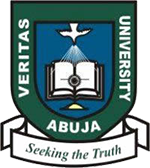 The Education unit co-ordinates and facilitates the work of the various dioceses and Congregations in formal and informal education, including the management and administration of mission-owned schools and vocational centres and also undertakes advocacy roles on behalf of the Church with the Federal and State Governments, and such agencies as the Nigerian Union of Teachers (NUT) and the Nigerian Universities' Commission (NUC). The Department of Mission and Dialogue co-ordinates and facilitates activities of the Catholic Bishops' conference in the area of Missions and Missionary Animation, Ecumenism, Dialogue within the family of the Church and Dialogue with other religious bodies. This arm of the Catholic Bishops' Conference is charged with the task of monitoring the training and sending of priests, Religious and lay missionaries to needy parts of our country and of the world. The unit is in touch with all agencies within and outside the country that are committed to the Church's missionary mandate. The department has three units and each unit is headed by a secretary. The Director of the department is also the secretary of Dialogue. i. Mission Committee: Focuses on animation of priests, Religious and lay faithful and on creating awareness for full participation of the People of God in the universal mission of the Church. It operates with a National Missionary Council which draws Its membership from the Clergy, Religious and Laity. It co-ordinates the missionary activities of the Dioceses and Religious Congregations, especially in the area of mission and ad gentes sending out missionaries to other dioceses and countries. It promotes the activities of the Pontifical Mission Societies (PMS). ii Committee on Ecumenism: Promotes Christian unity at human, social, political and strictly religious areas. It aims at bringing the various Christian denominations in the country together to study and understand each other better, to work together in identifying areas of agreement and deepening them, while seeking solutions to areas of disagreement. iii Committee on Dialogue: Seeks to interact with other believers, especially of the African Traditional Religion and the Islamic Religion. Attempt is made to build bridges, and to recognize and act as people who believe in the supremacy of God, to co-operate in the promotion of the good of all in Nigeria, and to cultivate the culture of respect for other people's Religion. The unit helps dioceses, parishes and Religious Congregations in their own efforts at ecumenism and dialogue on the local level. This Department is in touch with world bodies with Mission and Dialogue, especially the relevant Vatican Dicasteries. This outfit is set up by the Bishops' Conference to provide services (hitherto obtained at the Catholic Secretariat of Nigeria), in the areas of immigration passages, Air ticketing and Visas, goods clearance and protocol, e.t.c. Enquiries may also be made at the Catholic Secretariat of Nigeria, Lagos. P. O. Box 951, Lagos.